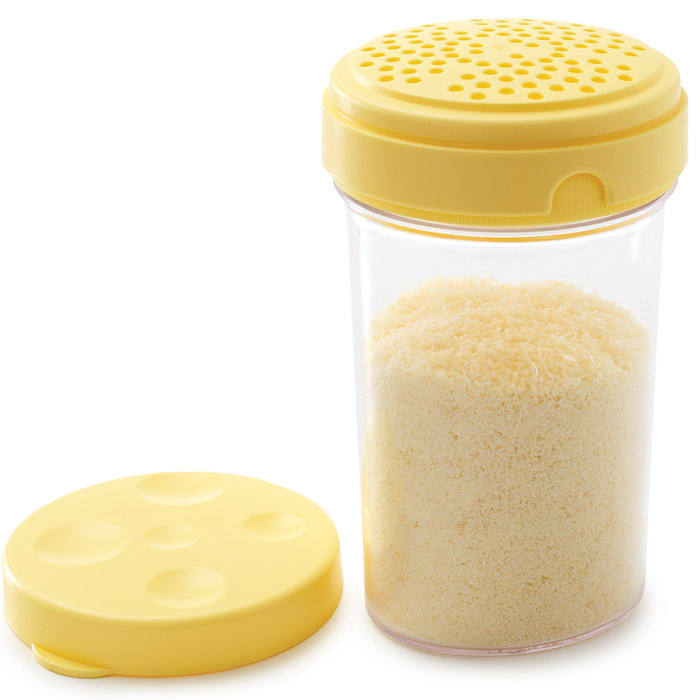 Container to sprinkle grated cheese directly on food. 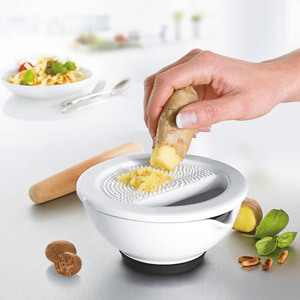 Featuring a patented system inside to avoid lumps forming. 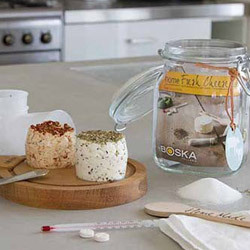 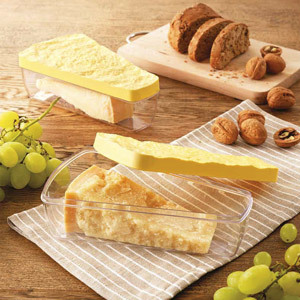 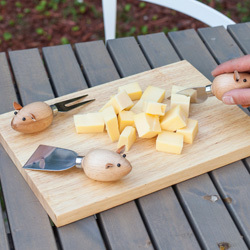 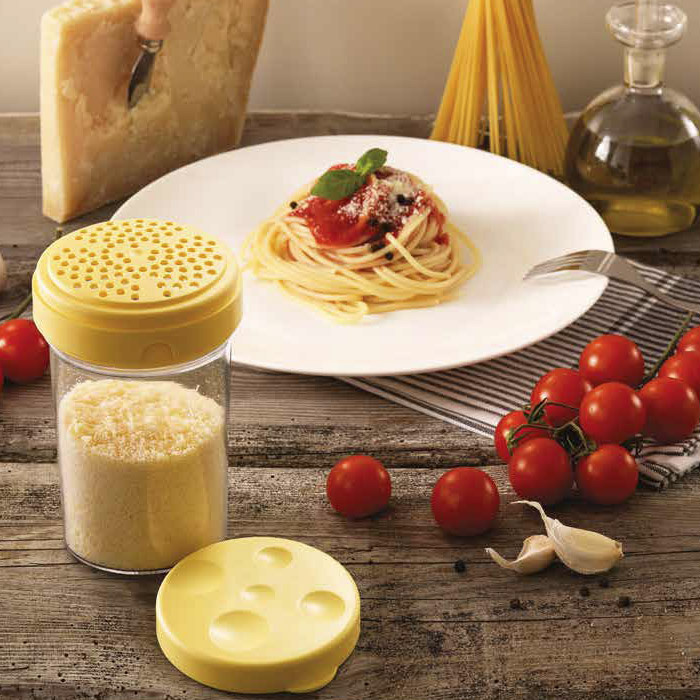 After use, thanks to its airtight lid, it becomes a practical container to keep the cheese in the fridge.